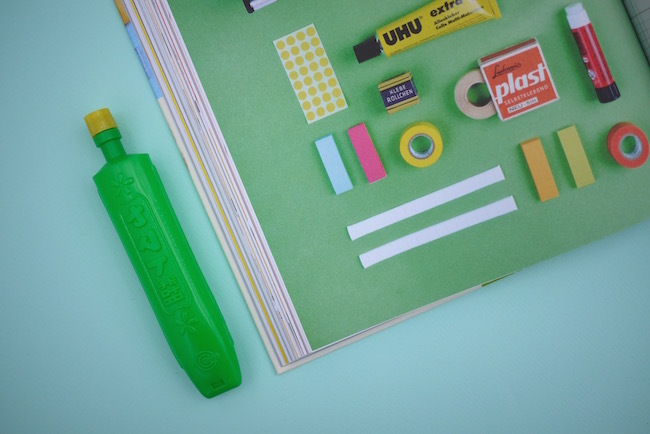 Stationery Fever: From Paper Clips to Pencils and Everything in Between. Written by John Z. Komurki, edited by Angela Nicoletti and Luca Bendandi. Published by Prestel. I think if I’m 100% honest, my main emotion about this book is jealousy. I feel like I almost could have created this, had I put my mind to it. It’s kind of like my blog (if I’d be so bold to say), but way better. That aside though, it’s pretty perfectly done. All the images are LOVELY, in part because there are lots by Present & Correct, who if you’ve read my blog for any amount of time, you’ll know is a big influence on me. So, what is the book? Well, it’s a bit of a magazine I suppose, in the sense that it’s lots of different articles and images on a subject. 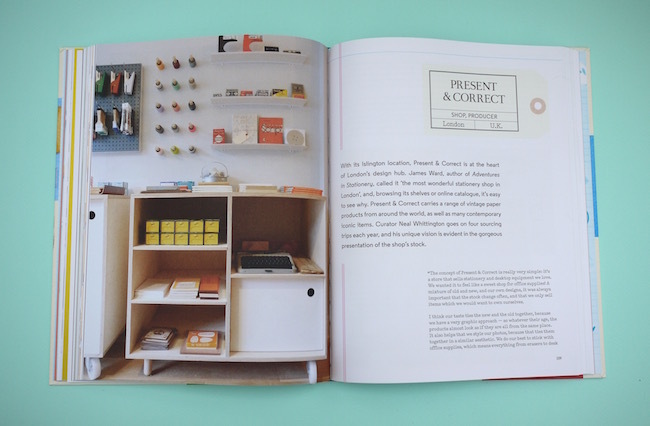 Each chapter focuses on a different type of stationery – i.e. pencils, glue, pen, notebook, post, etc. and as well as the history of these items, for each it also introduces the reader to relevant shops or other things. 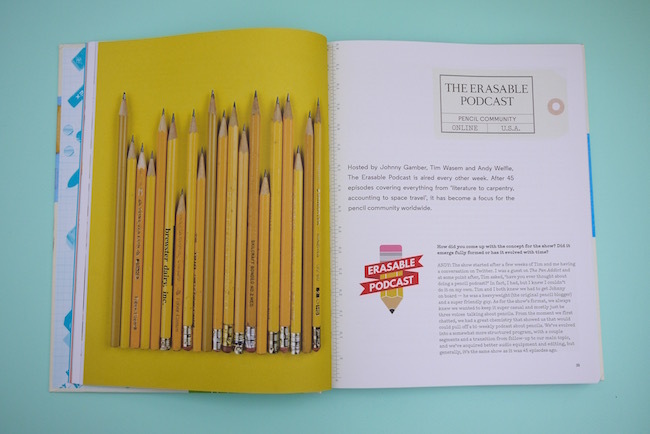 So for example, in the pencils chapter, it talks about the history of granite, the production of pencils, different types and brands of pencils, CW Pencil Enterprise store in New York, the Erasable Podcast, a pencil product designer, and RSVP shop in Berlin (which I wrote about here). So as well as giving some historical context, it also brings it right up until the current resurgence and the people instrumental in making that happen. I feel like if in 200 years we’ve all stopped using stationery and live entirely through screens, this book will be the perfect representation of what stationery meant to us at the beginning of the 21st century. The images really make this book; it is so, so beautiful. I’d be lying if I said I’d actually read this book cover to cover yet, but it’s not the sort of book you read in one go. It’s a big, lovely coffee table book that you pick up every so often, admire the pictures and read an article in. I’ve read different sections, and I look forward to learning lots more when I pick it up next. As someone that knows the stationery world fairly well, I can see some pretty big omissions – where’s the Pen Addict?! 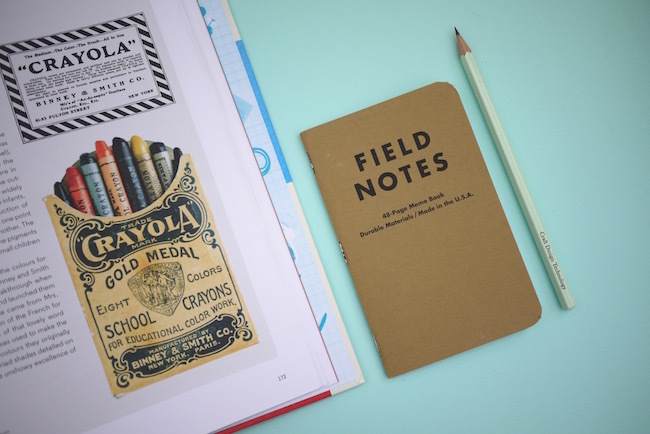 But equally, there’s plenty I haven’t heard of before too and some new shop discoveries for my stationery shop map! 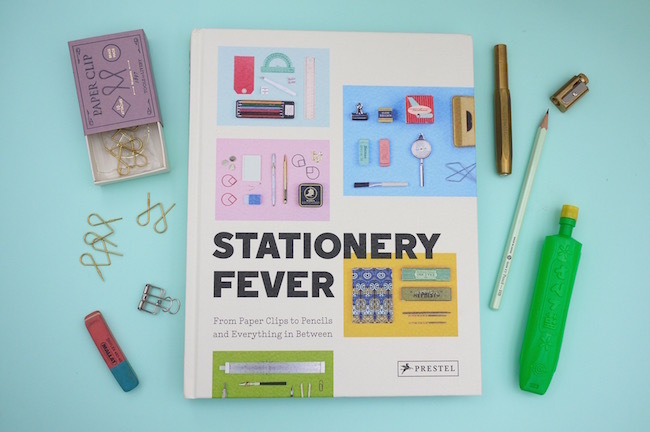 You can find Stationery Fever here, or in all good book stores (I’d imagine). I was sent this book free of charge by Prestel, but all opinions are my own! Oh what a lovely book – I can’t wait to sit down during Christmas and read this from cover to cover. Holiday plans for next year will be reviewed too lol, I want to see these shops!